Try Out a Government, Politics, and Law Database! Healey Library invites your feedback on a new trial database, billed as “the world’s largest image-based government document and legal research database,” HeinOnline’s Government, Politics and Law package. This resource is on trial through March 31, 2018. This database provides extensive coverage of legal history and government documents, including U.S. statutes and case law available as PDF downloads, and more than 300 years of information covering political development. It might be of particular interest to users looking for a replacement for WestLaw. A live chat service is available Monday through Friday from 8:30 a.m. until 6:00 p.m. Eastern Time. 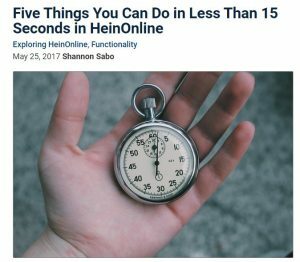 Call (800) 277-6995 between 8:30 a.m. and 6:00 p.m. Eastern Time – with HeinOnline, a human answers the phone! The help page is full of training guides, videos, FAQs, and more. Check out Searching 101 or Getting Started in HeinOnline for quick beginner tutorials. To learn more, watch this three minute video. 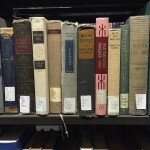 Login now at http://ezproxy.lib.umb.edu/login?url=http://heinonline.org/HOL/Welcome, or via the Healey Library Databases & Indexes page. Let us know what you think of this resource with this feedback form!